There are five of these distinctive passenger ferries currently in use in Halifax Harbour Nova Scotia, designed by E.Y.E. Marine to meet requirements by Transport Canada. They were originally constructed at the Pictou Industries Ltd shipyard and most recently at the facilities of A.F. 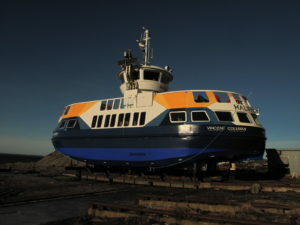 Theriault & Son Ltd.
We’ve recently completed work on fleet replacement vessels for the Halifax Transit Ferry System. While the new vessels may look similar to the 30 year old ferries they’re replacing, we’ve incorporated many changes and improvements that have been identified as necessary by operational experience, and which modern technology has made possible. These four Voith propelled replacement ferries are similar in design to the originals, but incorporate modern safety systems and amenities in order to meet current standards. The double–ended boats are driven by a Caterpillar engine and a Voith Schneider propeller at each end. 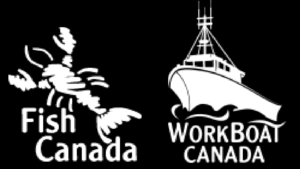 Some of the items addressed in the updated fleet include engine room machinery, monitoring systems, lifesaving appliances, passenger seating, wheelhouse visibility, layouts for the engine room, wheelhouse, and crew space layouts, and compliance with the current Transport Canada regulations. 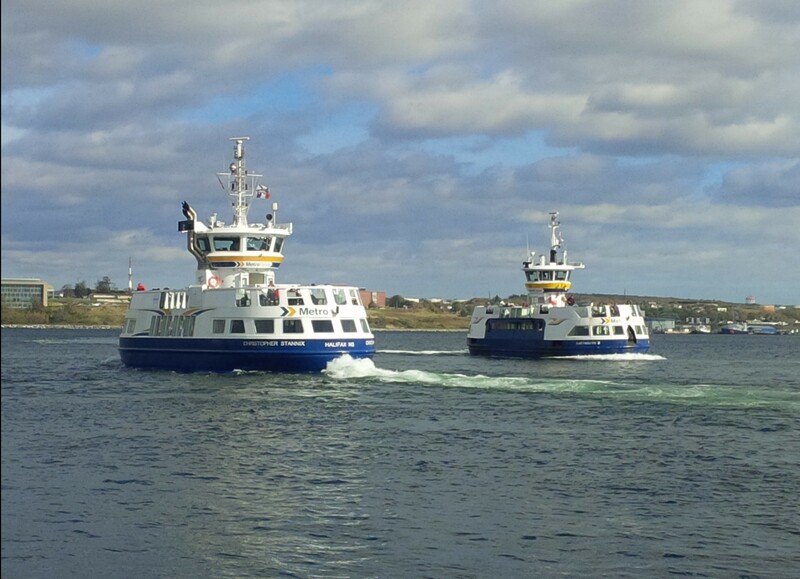 Two of the new ferries, the Christopher Stannix and the Craig Blake, have been completed and are the first new ferries to be added to the Halifax Transit ferry fleet in 28 years—a testament to their robust design and construction. A third new ferry, the Viola Desmond, joined the fleet and commenced operation in the summer of 2016. 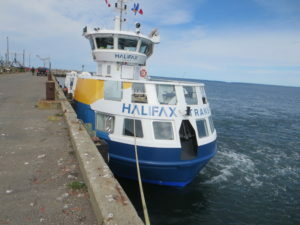 The five ferries serving HRM as part of Halifax Transit’s fleet are the Christopher Stannix, the Craig Blake, the Viola Desmond, the Vincent Coleman, and the Rita Joe. Every 15 minutes to a half hour, four of the ferries ply the shores across Halifax Harbour, the second largest in the world, with one on standby. The original fleet was commissioned and operated initially by the City Of Dartmouth which operated the ferry service across Halifax Harbour since it’s founding in 1750 until 1994 transferring control to Metro Transit, later known as Halifax Transit, pre-amalgamation with Halifax. It remains the oldest continuous salt-water passenger ferry service in North America with the existing fleet being one of Halifax’s most recognizable regional icons. Shipyards: Pictou Industries Ltd / A.F. Theriault & Son Ltd. The ferries are driven by two 12R4 Voith Schneider propellers (VSP), each coupled to a C12 Series Caterpillar diesel marine propulsion engine via a GearEx 30 Toothed Gear coupling. Each engine is rated at 287kW at 1800RPM to give a cruising speed of 9 knots. Machining of the mounting flanges for each Voith unit was done in situ to achieve the tight tolerances required. On-board electrical power is provided by two Caterpillar C4.4 single phase generator sets each rated at 44 kW. Exhaust piping from the main engines and gensets was led to above the wheelhouse top in a single cluster to ensure fumes cleared the upper passenger deck – an issue that had been reported in the older ferries. Hydraulic oil pumps are driven off the gearbox of each main engine to power the two passenger ramps and the anchor windlass. The bilge pump is driven via a clutched power take-off from one of the main engines, whereas the main fire pump is electrically driven from the vessel’s 240 VAC, single phase, 60 Hz supply. An NMEA 2000 Standard alarm and monitoring system was installed for the main engines, generators, navigation electronics, Voith drives, bilge system, tanks, and security system for door access/status throughout the vessel. The NMEA2k network is accessible to the ship’s engineer via cellular phone so that he/she can view recorded vessel data at any time. Care was taken to ensure that all interior linings and finish were dust-free. This was achieved by use of Ayres 2054 interior panels and Dampa suspended ceiling. The lifesaving equipment comprises three 150 person inflatable rafts fitted with hydrostatic and quick release manual launching racks, and one single path inflatable slide installed on the upper deck on one side that incorporates one of the 150 man rafts. The wheelhouse offers 360 degrees of uninterrupted vision and is heated and air conditioned. Passenger spaces are heated and ventilated. 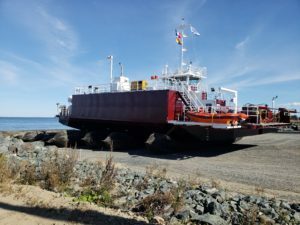 After a competitive tendering process, the contract to build three new ferries (with a possibility of a fourth) was awarded to A. F. Theriault & Son – Nova Scotia’s family-owned and largest boatbuilding company, located in picturesque Meteghan River on the southwest coast. 3D modelling of the hull and systems was first carried out in conjunction with the designer and owner before construction began to optimize the layout of machinery, control systems, wheelhouse and passenger areas. The resulting designs were used for cutting steel for the hull and superstructure.